Perhaps you will now understand how Harry Kronberg, the patient I mentioned in Chapter 3, was able to lose fifty pounds in three months on an eating plan containing an abundance of nutrient-dense, high-calorie foods. 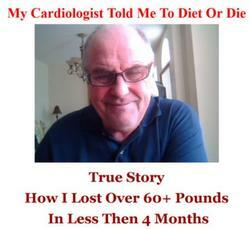 And he did so, even though in the previous three years on a moderately low-fat balanced diet he had gained 70. This does not contradict reason; instead, it is an outstanding example of metabolic advantage. When you study both of Harry's menus, you'll see that when doing Atkins, he ate an average of only 200 calories less than he ate on his low-fat diet, but he has gone from gaining an average of 0.5 pound a week to shedding almost 4 pounds. The metabolic advantage is there. It can't be disguised, evaded, put down to water weight or wished away.